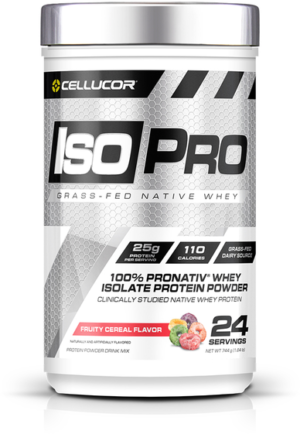 Two weeks removed from launching its new Iso Pro Grass-Fed Whey Isolate, Cellucor is dropping another unique supplement with Alpha Amino Ultimate. So you liked C4 Ultimate as much as we did? Then check out Alpha Amino Ultimate… where HMB has been added to your sports drink! But it’ll cost ya! This is the sixth and newest addition to Cellucor’s Ultimate line of products, including the underrated-yet-pricey C4 Ultimate. We’re enjoying this series of aggressively-dosed supplements, as it’s taken the brand’s product line to a new level for those willing to spend on it. 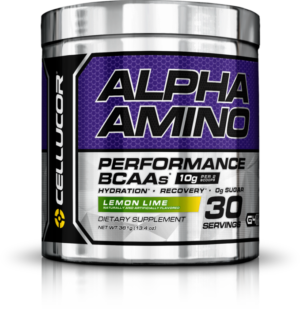 With Alpha Amino Ultimate, Cellucor is promising its users a next level performance. How Is This Different From the Original Alpha Amino? 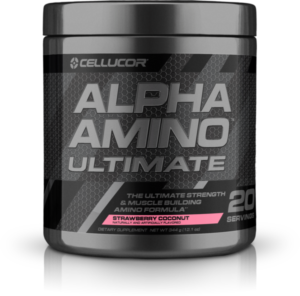 Alpha Amino Ultimate is a new spin on the ‘regular’ Alpha Amino and offers notable and welcomed additions than its predecessor had, but both work from the same ingredient foundation. On the surface, both products might look the same, but Alpha Amino Ultimate packs a few more perks that make it superior on a few different levels! 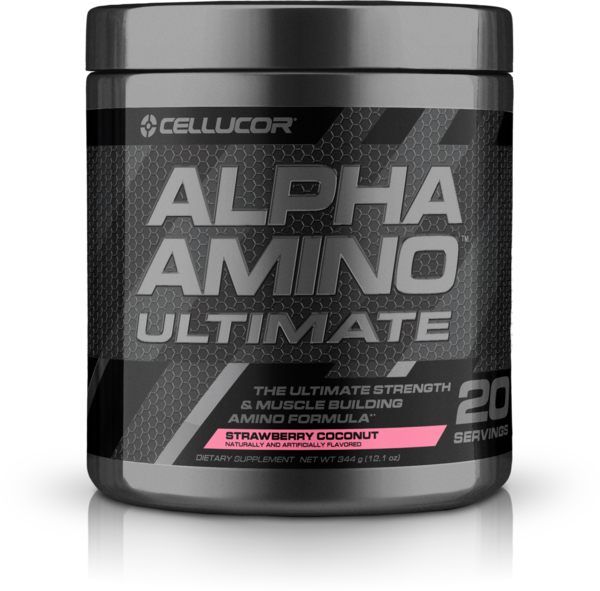 Each tub of Alpha Amino Ultimate provides just twenty servings, but each serving is a fairly large 17.2g scoop. By most standards, you can tell right off the bat that you’re going to get a fair amount of ingredients just judging by the scoop size. The Pros: 5g BCAA, good osmolyte and hydration support, and 3g HMB with Vitamin D! The cons: the six non-BCAA EAAs are absolutely buried and likely to be low-dosed. As you would hope to see in an intra-workout / “sports drink” style supplement, Alpha Amino Ultimate adds some desired minerals such as Magnesium, Sodium, and Potassium at respectable doses. The notable mineral here is the calcium content, which is represented in parenthesis as HMB from MyoeDge. Seeing HMB in an intra-workout supplement is definitely different, and we’ll cover that in just a bit. It also brings an added dose of Vitamin D at 500IU – this is 125% of a person’s daily recommended amount, and we typically like getting 1000IU to 5000IU supplementally, so this helps a touch. 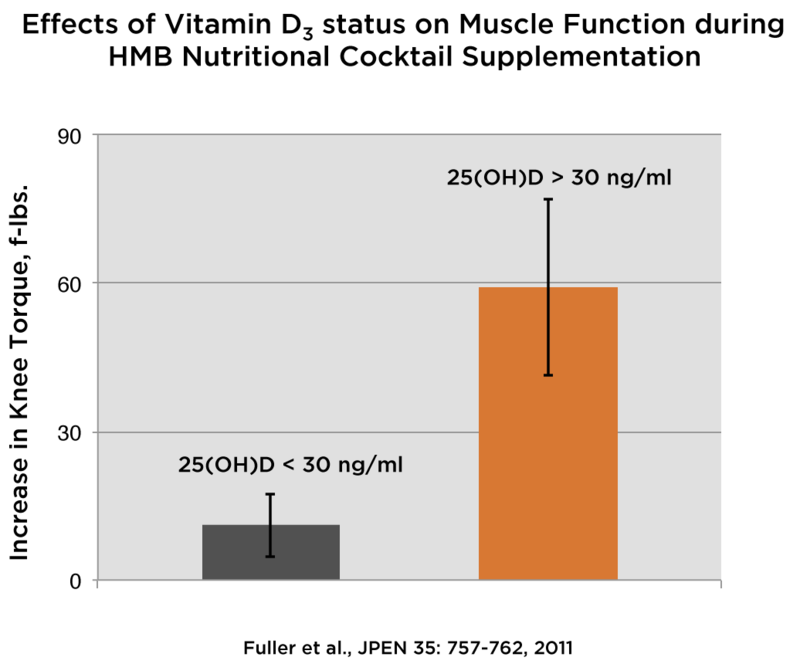 As we’ll see in a bit, the combination of Vitamin D and HMB actually become the main selling points for Alpha Amino Ultimate. Alpha Amino Ultimate uses the exact same BCAA Matrix as the standard Alpha Amino. 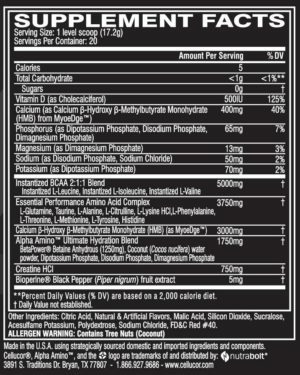 The label shows us 2:1:1 ratio of BCAAs at 5g, which equates to 2.5g Leucine and 1.25g each of Isoleucine and Valine per scoop. Cellucor upgraded Alpha Amino in late 2016; HydroMax and Nitrates were removed, Betaine is IN, and the BCAAs are transparently dosed! We’re beating a dead horse at this point, because we have said numerous times how BCAAs can stimulate muscle protein synthesis and how supplementing them will help speed recovery, decrease muscle soreness (DOMS), decrease fatigue, and can also act as an immediate energy source. 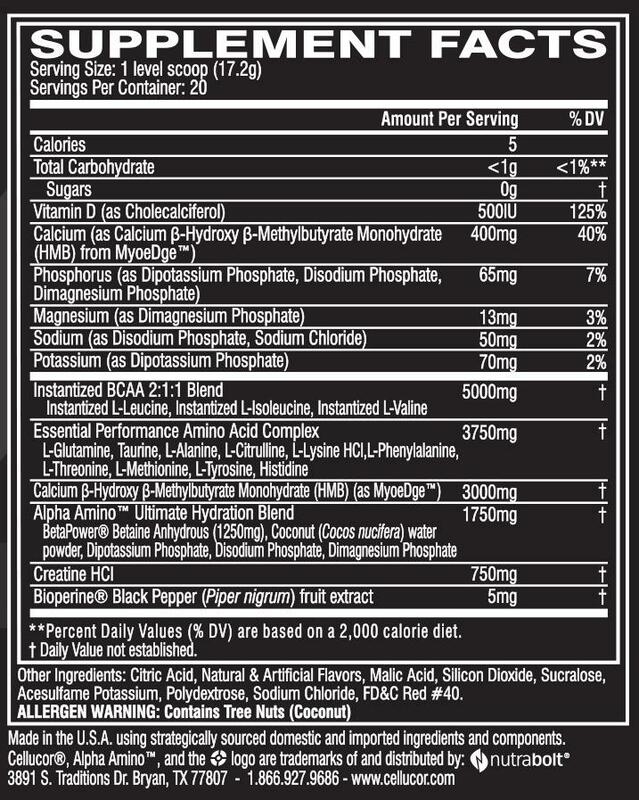 [1-4] Regarding “immediate energy source” – yes, BCAAs provide calories – roughly 4 to 4.5 calories per gram. All of the above elements are crucial to maximizing the benefits from your training session. The biggest thing to note is that BCAAs are mostly anti-catabolic, but the true muscle-building begins when you add a more complete blend of essential amino acids. The Essential Performance Amino Complex (not to be confused with a full “essential amino acid” complex) has the original Alpha Amino blend: Glutamine, Taurine, Alanine, Citrulline, Arginine, Lysine, Phenylalanine, Threonine, Methionine, Tyrosine, and Histidine. Careful with this prop blend! We’re missing one of the essential amino acids, and the ones we do have are buried beneath the non-essentials. Should we expect this for $2.00/serving? The essential amino acids — as in the ones your body cannot synthesize itself — are buried deep in this proprietary blend. Because of this, Alpha Amino Ultimate is not a true “EAA supplement”, and it’s not a complete protein. This profile could stand to limit muscle protein synthesis compared to more complete EAA supplements (discussed in our EAA vs BCAA guide) that would not get as bottlenecked waiting for an amino the body can’t produce itself, but still may require for certain processes, including serotonergic ones. Instead, this is a BCAA supplement with some tricky proprietary blend naming: Essential Performance Amino Acid ≠ Essential Amino Acid. We have covered in numerous amino acid articles, Glutamine is popular for recovery and assists with glycogen replenishment in skeletal muscle. 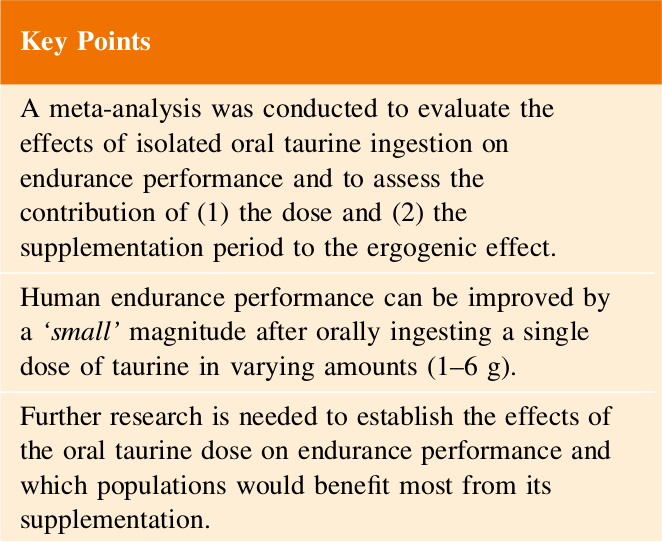 The next amino acid, Taurine, acts as a cell volumizer and helps maintain cellular hydration, and a recent meta-analysis shows that acute taurine use (at around 1g) is great for endurance – meaning it works from the first use! 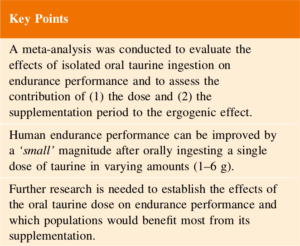 Taurine‘s Benefits (endurance-wise) can be seen after a single use! Earlier, we mentioned Vitamin D alongside the HMB. The study that utilized this combination was also done with lysine and arginine. While we don’t know the dose in Alpha Amino Ultimate, we do know that these two aminos are inside, which is good for trying to “semi-replicate” a successful study cited later on. But are there enough EAAs? After that, who knows how much of the actual essential amino acids are in here, and this is why we really consider Alpha Amino and Alpha Amino Ultimate to be “BCAA supplements” unless this formula were to be opened up a bit more. For instance, charging down this formula, we’re met with glutamine (conditionally essential), taurine (technically not even an amino acid), alanine (non-essential), citrulline (non-essential), and arginine (conditionally essential) before we even get to an actual EAA! How low are the doses at that point? For that reason, we simply can’t call this an “EAA supplement”, which we break down in our “EAA vs BCAA” blog post. Alpha Amino’s hydration blend is a huge component of the product. When used in conjunction with amino acids, the benefits of proper cellular hydration increases. 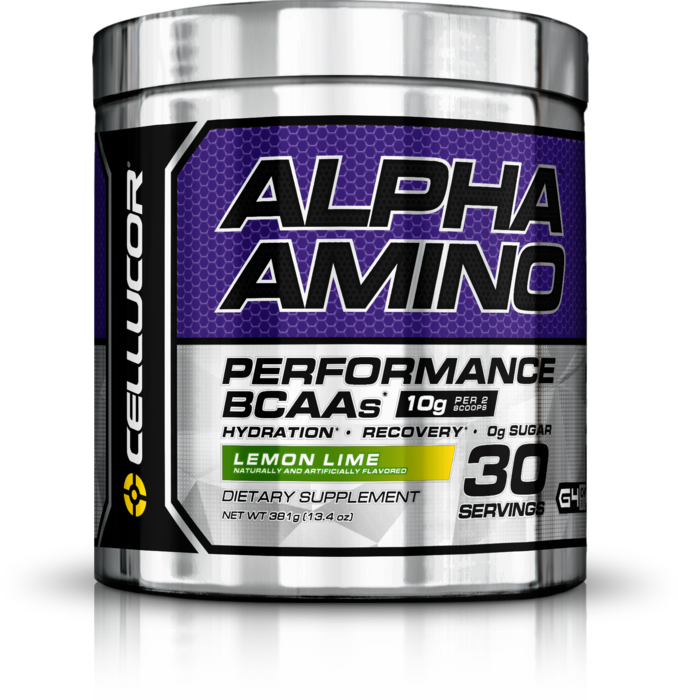 The Alpha Amino Ultimate boosts the same 1.25g dose of BetaPower® betaine anhydrous in its place. Is betaine the “new creatine”? Tough to say, since it behaves just like it. But users who take both definitely report some great effects, and the research on trained athletes backs it up. We’ve touched on the importance of Betaine in our post titled Betaine: A Safe, Natural Muscle Builder. It works synergistically with creatine to support creatine production in the body as well as boost overall ATP production,[9,10] but note that the clinical doses are at twice this amount – 2.5g – so we can’t get too “claimy” here. Those 2.5g/day studies also link its use with improved hydration, power, strength, and endurance. 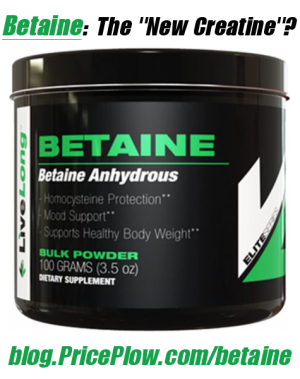 What we can say is that betaine is an osmolyte, so it gets shuttled into (and out of) cells to regulate hydration. Better hydration will generally lead to a better workout and since Betaine works in conjunction with creatine in this capacity, Alpha Amino Ultimate took it a step further by adding a small (but again non-clinical) dose of creatine HCl to the product, which we will cover in a bit. Rounding out the Hydration blend is Coconut water powder and electrolytes, both geared to support and maintain hydration levels. We know that extensive training and exercise will deplete our bodies of vital electrolytes and water, so replenishing these stores will keep our performance from suffering as a result of those losses. Most of us old-timers know what HMB is and know it is short for an unpleasantly-named compound, beta-hydroxy-beta-methylbutyrate free acid. 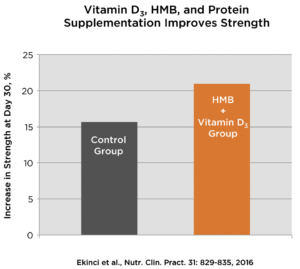 HMB is a metabolite of Leucine, the most anabolic branched-chain amino acid that promotes muscle protein synthesis and does most of the “heavy lifting” in the research. HMB research is a bit hit-or-miss, to say the least, and researchers have been trying to figure out what gives. Theoretically it should help enhance muscle hypertrophy, strength, and power following chronic resistance training, and also prevent drops in performance following an overreaching phase. But it doesn’t always work out that way! What the heck is MyoeDge? 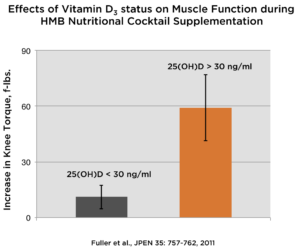 According to the MyoeDge website (they’re changing their name to MyHMB), which is run by MTI Biotech / Metabolic Technologies, Inc, HMB can only be utilized at maximum efficiency if Vitamin D levels are sufficient within the body. 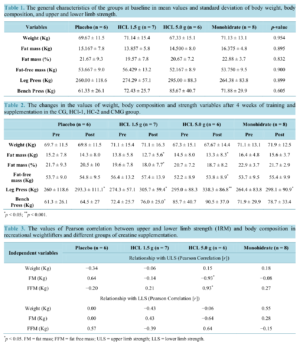 [13,14] This is based off a one-year study where one group supplemented with HMB and the other group supplemented with both HMB and Vitamin D.
The study also had arginine and lysine (at least a bit of those are provided here too) and showed that while HMB supplementation alone can increase muscle mass in those deficient in Vitamin D, strength gains were only discovered in participants who supplemented with HMB and Vitamin D.
The takeaway here is that the effects of HMB will reach higher levels if supplemented alongside arginine, lysine, and Vitamin D, a vitamin we recommend to nearly everybody anyway. MyoeDge is a trademarked ingredient and maximized the effects of HMB for users. It may not need to be taken during your workout, but that’s where Cellucor’s decided to put it in their “Ultimate” family. For the record, in that study, participants received 2.0g Calcium HMB, 5.0g arginine, and 1.5 g lysine – more than what’s inside Alpha Amino Ultimate, so we can’t truly 100% relate to the study here. Looks like we’ll be getting more HMB than the study though, which we won’t complain about! Hopefully we don’t need to sell you on the benefits of creatine. Alpha Amino Ultimate packs a light ‘bonus’ punch of creatine HCl with 750mg. That’s just ¼ of the minimum we’d like for the day, so you’re going to need more elsewhere to obtain true “research-backed” benefits. 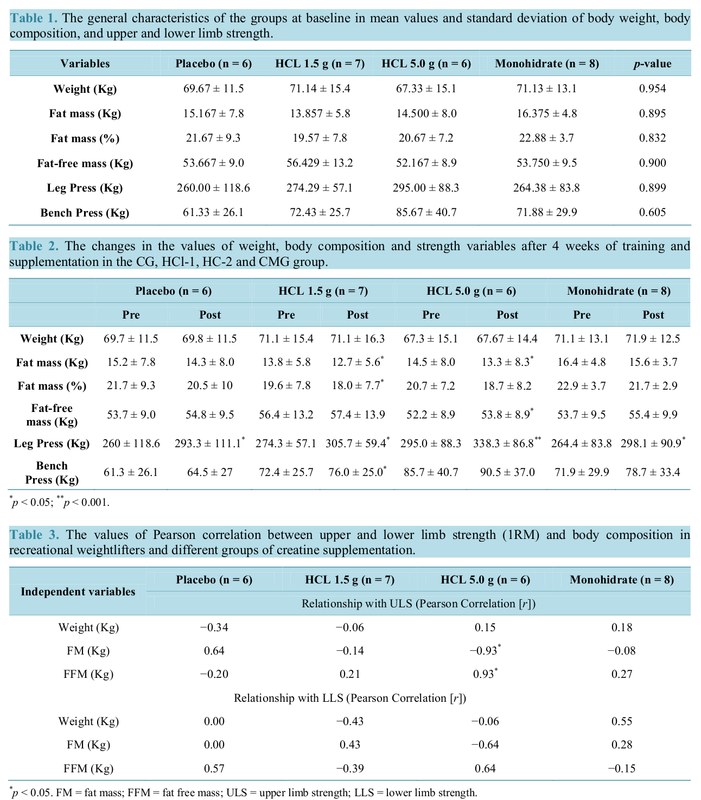 One study showed that Creatine HCl works just as well as monohydrate… if it’s dosed well! No more of this “2g creatine HCl per day” nonsense people! Creatine HCl is a form of creatine with better water solubility over monohydrate. This leads some to believe that it’s superior over monohydrate, but the research shows that you still need it in similar doses, and then it may a bit more effective. Many users report less bloating with Creatine HCl, and it may possibly be easier to digest for those with sensitive digestive systems. Even a micronized creatine monohydrate could yield stomach discomfort if taken on an empty stomach, so using creatine HCl intra workout might be a good way to avoid that side effect. The first takeaway is that we still want 3-5g per day, and we’re not getting that here, so you need to find more. The second takeaway is that although there isn’t enough data to prove one form of creatine is greater than another, there is upside to taking similar doses of HCl versus monohydrate, especially if you get stomach discomfort or digestion issues from monohydrate. Long story short? We still want 3-5g of total creatine per day, whether you use monohydrate or hydrochloride. This alone won’t get you there, but it can definitely help if your pre workout is also on the light side. Although there aren’t substantial studies on Bioperine with these specific ingredients, the supplement is commonly used to increase absorption of other supplements. Considering you need quick nutrient uptake in the middle of your training, Bioperine is an appreciated addition to the Alpha Amino Ultimate and should work synergistically with the creatine to drive nutrients and waters into the muscle cells in a quick manner. 5mg is a sound dose – when we try 10mg the supplement gets way too “peppery”. 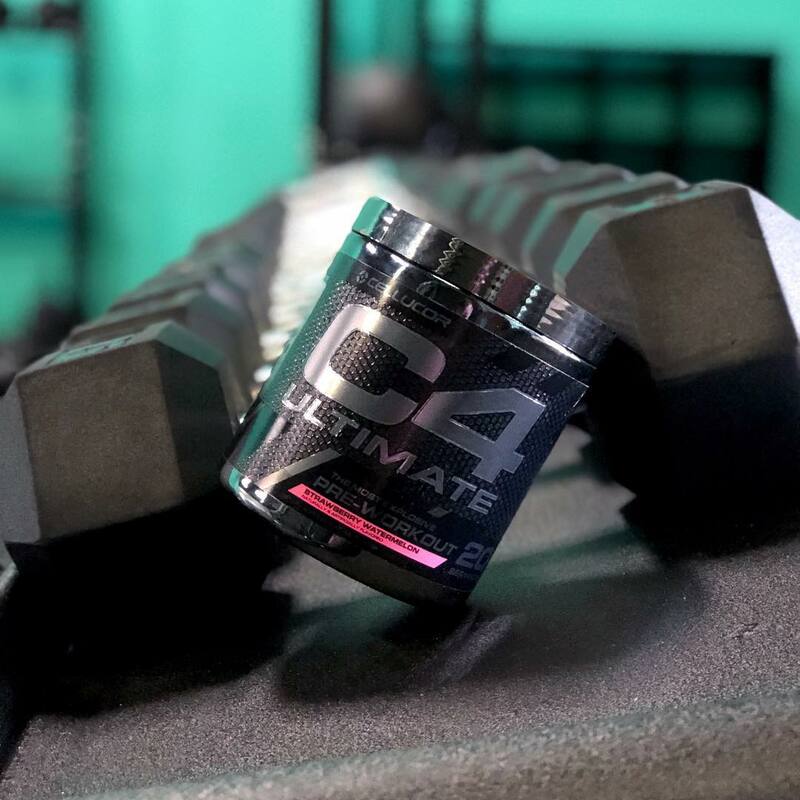 Cellucor’s been pushing C4 Ultimate like crazy on social media lately… will Alpha Amino Ultimate get similar treatment soon? Closing out the label for Alpha Amino Ultimate is citric acid, natural and artificial flavors, malic acid, silicon dioxide, sucralose, ace-k, polydextrose, sodium chloride and FD&C Red #40. This is a fairly typical list of flavors and sweeteners. One point of concern is the Red coloring, which Cellucor usually brings on in massive amounts. In our opinion, this stuff is never necessary in a product, although to many mainstream consumers, “color has better taste”. We get it, but we still prefer natural beet root extract ourselves. For those who are committed to staying away from such ingredients, you will be missing out on an otherwise interesting label. Alpha Amino Ultimate launched in three unique and fresh sounding flavors. This is a good flavor set to change things up – we’ve seen them all, but usually not from a brand as popular as Cellucor coming out of the gate with a new product. Note that Strawberry Coconut flavored supplements are sometimes known as Tiger’s Blood, although many brands add watermelon or a dash of citrus to flavors with that name. With summertime approaching at launch time here, these flavors will be a refreshing change-up from our typical intra-workout flavors. Cellucor is dropping some great new supplements on us lately, but they no doubt come with a price tag to match. At $2.00/serving at launch, there are possibly some cheaper ways to get aminos, Vitamin D, and HMB, but then you’re going to be popping pills and pouring potions for a few minutes. Following the positive reception of the grass-fed whey isolate Iso Pro, trainees are now treated with a unique intra-workout supplements available. We’ve come to expect hydration elements, electrolytes, and aminos in our standard intra-workout powders, but adding HMB for gains and recovery and a small dose of Creatine HCl gives Alpha Amino Ultimate a little something something different, but with a top-shelf price to boot. We’re cool with betaine and creatine being “underdosed” – those can be made up elsewhere, such as in a pre workout or your post workout shake. But what we’d really like to know is how much of the six other essential EAAs outside of the three BCAAs we’re getting, since “EAAs are the new BCAA“, yet the non-BCAA essentials buried deep in a proprietary blend here. Either way, if you’re looking to try a new intra-workout supplement and have been interested in HMB, Alpha Amino Ultimate is certainly one way to get you there, and it should help you power through your next workout. It’s just almost definitely going to cost you a premium, just like C4 Ultimate. Whether that’s worth it to you really depends on how well you respond to the HMB idea. 6 Comments | Posted in Supplement News | Tagged Alanine, BCAA, Betaine, BetaPower, BioPerine, Calcium, Cellucor, Coconut Water, Creatine HCl, Glutamine, Histidine, HMB, Intra Workout Supplements, Isoleucine, L-Citrulline, L-Tyrosine, Leucine, Lysine, Magnesium, Metabolic Technologies Inc, Methionine, MTI BioTech, MyHMB, MyoeDge, Nutrabolt, Phenylalanine, Potassium, Sodium, Taurine, Threonine, Valine, Vitamin D3.